The luxury suite at Nightingales Spa is located on Main Street Bloomfield in the heart of the village.We are surrounded by talented artisans, eclectic shops, fabulous restaurants, sandy beaches, and award winning wineries and craft breweries. You will love our place because onsite is Elements Glass Studio and Nightingales Spa. Enjoy our contemporary suite in our beautiful Victorian home. We look forward to hosting you in 2019! We have renovated the suite in a contemporary way, intending to project a calm and relaxing atmosphere. Caroline has created some gorgeous glass panels that add beauty and interest to the suite and just might give you some inspiration! All windows have custom blinds that are either room darkening or light filtering. The bedroom and living room have remote controlled ceiling fans. The living room has a pull out sofa bed. You will find the walk in shower with a rain shower head a pleasure to use. A small fridge, Keurig coffee maker, kettle and teapot are provided, along with dishes, wine glasses and utensils. A selection of Arlene"s Garden organic teas, created by Nightingales Spa, along with coffee, milk, cream and sugar are provided. The mini fridge has a small selection of breakfast items to get your first morning off to a good start! Located onsite is Elements Glass Studio operated by Caroline Shuttle (your host) an award winning glass artist. On making your reservation you may also want to book a glass workshop. Nightingales Spa, Arlene Wilkinson, RMT (your host) is also located onsite - book your massage therapy or spa treatments! Guests access the Suite through a private coded entry. Guests are welcome to sit in our courtyard garden in front of the glass studio. We are generally both onsite. Caroline is in the glass studio and welcomes visits anytime. Arlene is seeing clients in her clinic and she will be happy to chat with you about her product lines, make you a personalized product, or book a treatment (best to book in advance). Being right in the heart of Bloomfield, you are steps away from cafes, shops and artist studios. There are guide books and information provided in the suite on the surrounding area including the many wineries, Taste Trail, and Arts Trail. You will also find directions and a guest pass to Sandbanks Provincial Park, which is a 10 minute drive away. The heated pool/ back yard area is available for guests 9 am - 4 pm. There is also a BBQ for guest use (please ask if needed). Plastic dishes are provided in your kitchenette for poolside use. We supply one large beach/pool towel per guest. For your convenience the suite is equipped with a park pass, beach chairs, umbrella, and cooler bag. You will find ice packs in your freezer. We moved to Bloomfield 20 years ago and continue to love exploring 'the County' to this day! We did not realize at the time that it would be such a draw for foodies, art and wine here it is a wonderful place to visit and a fabulous place to live. Arlene's family roots are County, with her dad growing up on Waupoos Island, and spending her summers as a child visiting the farm near Lake on the Mountain. Arlene and Caroline settled in Bloomfield because of the ambience of this Victorian home and it's perfect location in 'the County', along with the warm and inviting spirit of the community! We originally purchased this house because it was a perfect fit for our business and our home. Nightingales Spa is operated out of the section of the house that was once Dr McQueen's office. Arlene still uses the apothecary shelves to store herbs, essential oils and supplies. Caroline renovated Dr. McQueen's carriage house, where the horse and buggy resided, into her studio/gallery Elements Glass. Prince Edward County's beautiful beaches and sand dunes, Arlene's family history here and this beautiful house combined to bring us to settle in Bloomfield. Walk in shower with rain shower head. Quality bath towels and robes provided. Situated in the heart of Prince Edward County, Bloomfield offers a quiet retreat while being accessible to beaches, wineries, shopping, restaurants, cafes and artist studios. Variety of books for reading during your stay. Please leave them when you return home. Lovely apartment right in the middle of the county. Great location! Arlene and Caroline were lovely hosts. The property has one private rental, a spa and a glass art studio. Three in one. Loved it. So close to everything we love - The dunes, great restaurants, art galleries and more. big thanks to our hosts, we had a nice, quiet, comfortable weekend in PEC. Good location, recommend. 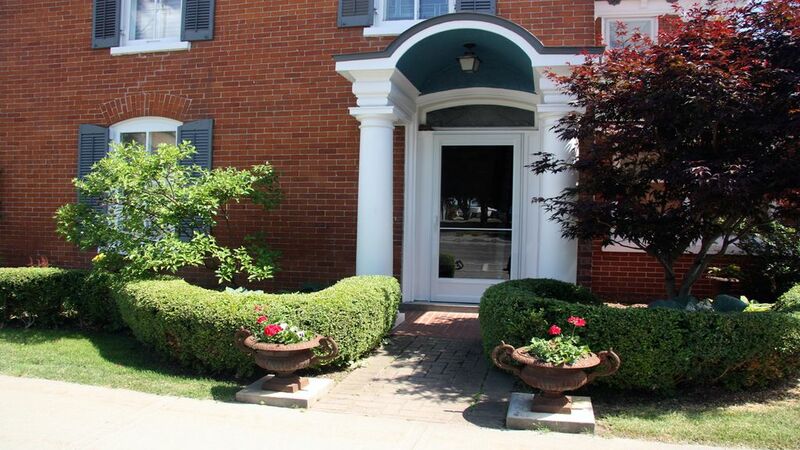 Quiet comfortable apartment close to all attractions in Price Edward County. Highly recommend staying here.